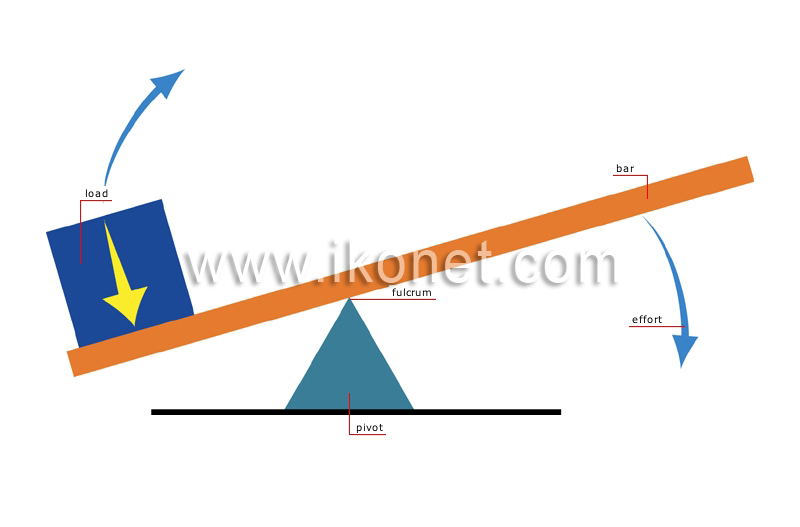 Rigid moving bar around the fulcrum on which an effort is exerted to lift the load. Weight whose inertia exerts a force opposite to the effort exerted on the bar. Force exerted on the lever bar in order to shift the load. Part providing an efficient fulcrum for the lever. Point around which the lever pivots.